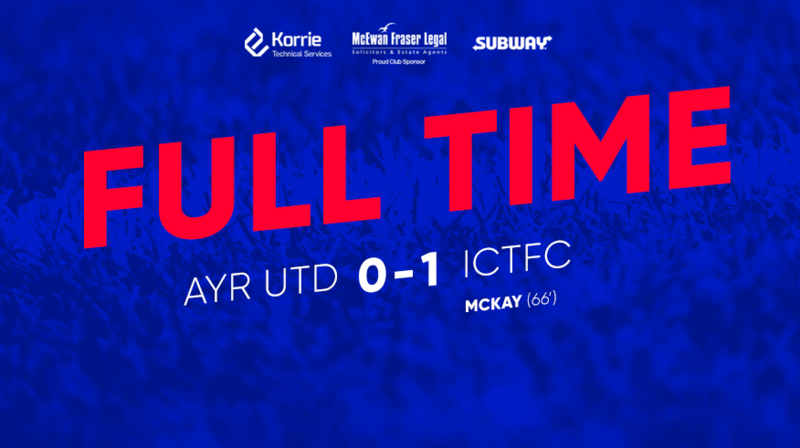 Inverness beat Ayr 1-0 thanks to a second half goal from substitute Brad Mckay. Early drama when we spurned the chance to go ahead after seven minutes. Unsurprisingly, Aaron Doran missed from the spot, our second failure in two games. Coll Donaldson went off injured to be replaced by goal scorer Mckay. We held out to gain a valuable three points and jump above Ayr in the table. 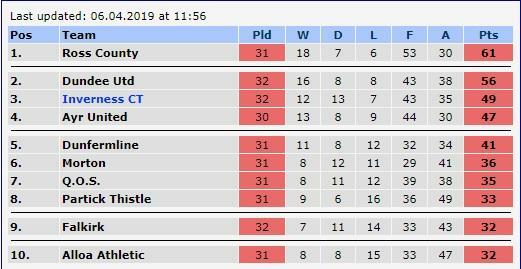 With Dunfermline drawing at Partick, it was a good weekend for the Caley Jags. John Robertson had to make some enforced changes to the side that went down in the Highland derby Out went the suspended Charlie Trafford, out went the injured Jamie McCart and the jaded Brad Mckay dropped to the bench. Little did we know that he would play a major part in the proceedings. In came Shaun Rooney at Right back, Kevin McHattie in central defence and Nathan Austin up front alongside Jordan White. Ian McCall thrust Nicky Cadden into the starting XI with Calvin Miller and Lawrence Shankland up front. Declan McDaid and Michael Moffat were on the bench as he made some bold changes. 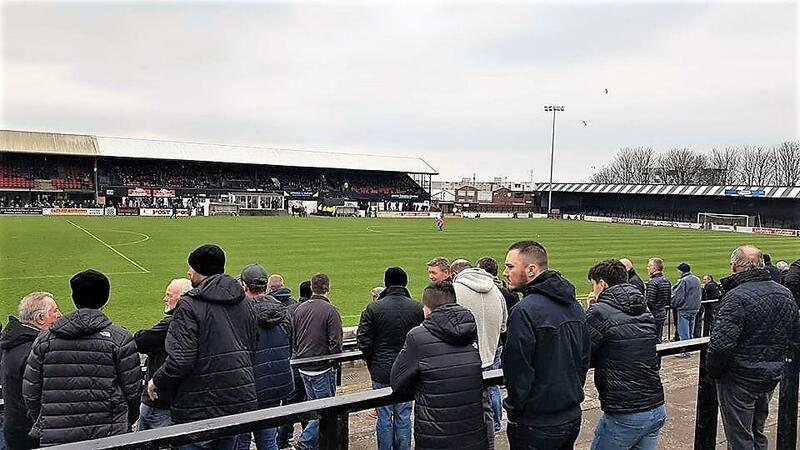 It's as clear as mud now for the play-off places, but it should become more transparent this week as Ayr host Queen of the South and Ross County host Dunfermline on Tuesday night. Next weekend whilst we travel to Hampden, Dundee United and Ayr clash and on Saturday, Dunfermline play Falkirk. Huge win in a quite entertaining game if somewhat short on quality at times. One player who certainly isn't short of quality is Polworth and his superb defence splitting pass sent Austin scampering away and he looked to be clipped by Doohan and from seemingly nowhere we had the chance to go one goal up. Sadly, as is the current ICT style, we fluffed the spot kick as Doran sent a weak shot down the middle of the goal and it was kept out by the trailing leg of the Ayr keeper. Austin was involved at the other end when we failed to clear a corner and Miller sent a fierce shot heading towards goal but Austin was on hand to header away. A few folk around me said it was probably going wide but I'm not so sure. Certainly grateful to have Austin there to keep Ayr out. Doran was next to threaten for Inverness when he picked up the ball on the right edge of the box but his shot was just over the bar although Doohan looked to have it covered. Miller again had a great chance to put Ayr ahead when a cross from Cadden, who was roasting Rooney for much of the opening 30 minutes, was deflected into his path but thankfully he sent a poor header high and wide with Ridgers looking stranded. Then came one of the many goalmouth scrambles of the day. Walsh tried to get onto the ball as it bobbled around in the six yard area but when he did swing a foot at the ball his effort wasn't good enough to beat the Ayr keeper. The start of the second half saw Ayr administer an absolute bodying to the ICT defence save from actually scoring. Almost all the Ayr attacks were coming down the ICT right with a number of low crosses flashed across the goal. However it was Craig Thomson who almost helped set up the Ayr opener when a Donaldson clearance crashed off his back and sat up nicely for Geggan but he pulled a volleyed effort wide. Another goalmouth scramble saw Rooney and Tremarco make desperate blocks to keep United out before Geggan somehow hooked an effort well over from only a few yards out as Ayr started to turn the screw and it looked to be only a matter of time before we would concede especially given that we had lost Donaldson to injury by this point. Almost inexplicably we then took the lead Rooney was felled on the right touchline, Chalmers lifted a ball into the box which was missed by the United defence and Brad Mckay was on hand to score a goal of the season contender from 0.3 yards out. Ayr came right back into the game when McDaid cut inside and sent a low drive towards goal but Ridgers got down well to smother the shot. in the final few moments Moffat managed to create some space in the box but he seemed to hook his effort across the face of goal with no team mate on hand to tuck it away. I was really impressed with the pace and movement of Shankland, Miller and Cadden and then McDaid when he came on. Rooney had a torrid time at right back and it was only a result of really poor finishing from the likes of Miller and Geggan that we didn't concede about 4 goals. A word for the Ayr fans, almost never stopped singing and getting behind their team for pretty much the entire game. I can't recall a home support like that this season. Great effort. Inverness Caledonian Thistle manager John Robertson on BBC Sport: "We had a superb first half, but our Achilles heel came back to haunt us with another missed penalty. I thought Ayr were superb - they were the team on the front foot in the second half - but then we got the goal and that gave us the impetus to defend and see the game out. We had to dig deep. I wouldn't have complained with a draw but its a massive three points for us. Ian McCall was disappointed to lose "I thought the first half after the penalty we were dominant, a draw at half-time was fair. But the second half, for 25 minutes we battered them. There was silence in the stadium after the goal, there was shock - the second half was so once sided, we just couldn't believe it. I wasn't disappointed with the performance - the Somerset Road end was like a real football ground, it was fantastic, then we lost a silly goal. 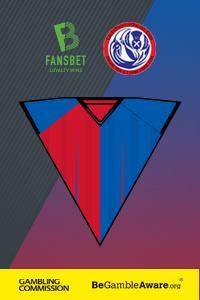 Its a really hard one to take but we've got to go and win all three points to try and clinch the top four." RIG agrees with McCall: Ayr miss a great chance to take the lead. Cadden cross headed over by Miller. It's all Ayr second half: Geggan fires over from a few yards out. How we aren't behind is beyond me! Zogg made it onto the terraces behind enemy lines, good lad! Subs (not used): Hare-Reid; Kerr, Crawford, Moore. Subs (not used): C Mackay; Harper, Brown, D Mackay.